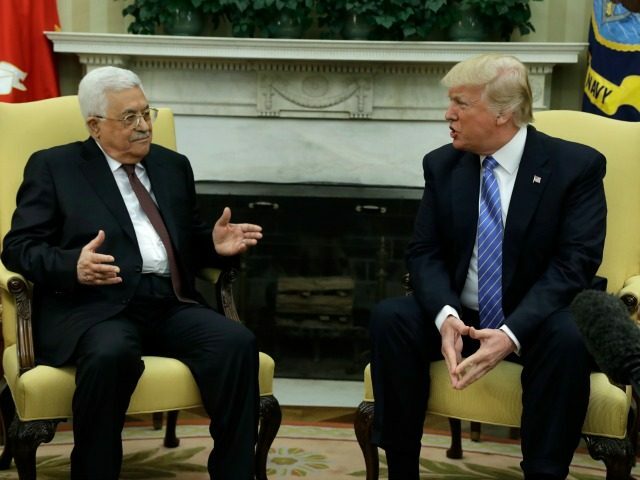 Breitbart Jerusalem Bureau Chief Aaron Klein applauded President Donald Trump’s threat to cut aid to the Palestinian Authority, charging the PA is an “anti-Western” entity that supports terrorism and incites violence against Israel. Klein also responded to threats from US Ambassador to the U.N. Nikki Haley, who warned on Tuesday that if the Palestinian Authority refuses to continue peace negotiations with Israel, the Trump administration could withhold funding to the U.N. Relief and Works Agency (UNRWA), which ministers to so-called Palestinian refugees. U.S. financing to UNRWA should immediately be “totally caught off,” contended Klein. Speaking from Tel Aviv, Klein gave his analysis on Wednesday’s edition of SiriusXM’s Breitbart News Daily hosted by Breitbart News Editor-In-Chief Alex Marlow. I think this conversation is long overdue. I am trying to understand and I have been for a very long time since I arrived here as a reporter in 2005 and even before: How is it in American interests to finance the Palestinian Authority? The Palestinian Authority is anti-Western. It openly not only supports terror, but has a terrorist wing. Abbas’s Fatah party, their so-called military wing, is the Al Aqsa Martyrs Brigade, which according to the State Department is a terror group. And it is a terror group because they are responsible for suicide bombings, shooting attacks, rocket attacks. The Palestinian Authority pays terrorists. They pay prisoners who are in Israeli jails for committing murder. They pay their families. They openly incite violence, incite terrorism. Openly. I am talking about the Palestinian Authority’s official media outlets; their official schools; their official camps. All dedicated in large part to the destruction of Israel. So while the Palestinian Authority continues full speed ahead for decades to support terror and again to actually be a terror group or have a military wing that is a terror group, why should we continue to finance them and expect them not to change? Of course they are not going to change if nothing changes from our end. So what Donald Trump is doing is he is making it very clear. He is putting the Palestinian Authority on notice. Enough already. It has been decades. The time has come to show us the cards. Either you are going to make peace with Israel. Either you are going to be a player in the international arena which promotes Western civilization or we might really have a conversation about cutting off financial aid. So I think this is a really good thing. Regarding UNWRA, Klein stated: “It should also be totally caught off.” Klein went over a list he recently compiled of six reasons the U.S. should stop funding UNRWA and instead take the approach recommended by Prime Minister Benjamin Netanyahu, who has called for the dismantlement of the UN’s Palestinian “refugee” agency. 1 – The Palestinians and Arab nations have distorted the history of “Palestinian refugees” to manipulate the international community. The Palestinian narrative is simple: When the Jewish state was founded, Israel largely kicked the Palestinians (who, by the way, did not exist at the time under the name “Palestinians,” but were local Arab inhabitants who lived in a region also inhabited by Jews) out of their homes, thus causing hundreds of thousands to become refugees. The Palestinians refer to Israel’s creation as the “Nakba,” or catastrophe when Palestinian Arabs fled or were expelled from their homes. The reality is quite different. After Israel was founded in 1948, a military coalition of Arab nations immediately formed to wage war on the new Jewish state. Some local Arabs, who did not yet go by the name of Palestinians, left the area in anticipation of the war, others directly responded to the dictates of Arab states to stay out of the way so that invading armies could conquer Israel, and still others fled once the war started so that they were not caught up in the fighting. Arab states waged the war after refusing to accept UN Resolution 181, which called for the partition of the British Mandate of Palestine into Arab and Jewish states. The Jews immediately accepted the resolution, but the Arabs forthrightly rejected the plan, launching a war to destroy the Jewish state. In the midst of wanton aggression, we yet call upon the Arab inhabitants of the State of Israel to preserve the ways of peace and play their part in the development of the State, on the basis of full and equal citizenship and due representation in all its bodies and institutions. It is true that some Jewish groups, including the Haganah, encouraged local Arabs to flee, however those few documented cases are the exception and not the rule. Of the 62,000 Arabs who formerly lived in Haifa not more than 5,000 or 6,000 remained. Various factors influenced their decision to seek safety in flight. There is but little doubt that the most potent of the factors were the announcements made over the air by the Higher Arab Executive, urging the Arabs to quit. … It was clearly intimated that those Arabs who remained in Haifa and accepted Jewish protection would be regarded as renegades. “Arab officers ordered the complete evacuation of specific villages in certain areas, lest their inhabitants ‘treacherously’ acquiesce in Israeli rule or hamper Arab military deployments,” wrote historian Benny Morris. 2 – The number of Palestinian “refugees” is the subject of debate. Many Arabs claim that 800,000 to 1,000,000 Palestinians became refugees in 1947­-49. The last census was taken in 1945. It found only 756,000 permanent Arab residents in Israel. On November 30, 1947, the date the UN voted for partition, the total was 809,100. A 1949 Government of Israel census counted 160,000 Arabs living in the country after the war. This meant no more than 650,000 Palestinian Arabs could have become refugees. A report by the UN Mediator on Palestine arrived at an even lower figure — 472,000. The number of Jews fleeing Arab countries for Israel in the years following Israel’s independence was roughly equal to the number of Arabs leaving Palestine. Many Jews were allowed to take little more than the shirts on their backs. These refugees had no desire to be repatriated. Little is heard about them because they did not remain refugees for long. Of the 820,000 Jewish refugees, 586,000 were resettled in Israel at great expense and without any offer of compensation from the Arab governments who confiscated their possessions. There is evidence that scores of Arabs joined the local inhabitants and became “refugees” attended to by UNRWA when the agency began operations in May 1950 to help the Arabs impacted by the 1948 war. Last week, Haaretz reported that Lebanon’s census data puts the Palestinian “refugee” population at about the third of the numbers reported by UNRWA. This could mean UNRWA has been taking in funding for a wildly inflated number of so-called Palestinian refugees. 3 – UNRWA scandalously defines a Palestinian “refugee” in a manner that is different from all other refugees, and does so in a way that sustains the “refugee” crisis instead of solving the problem by finding solutions for the so-called Palestinian refugees. In other words, the UNHRC defines a refugee as someone who was forced to flee his or her home and cannot return for fear of persecution. UNRWA, however, defines a Palestinian “refugee” entirely differently. A Palestinian “refugee” is any person whose “normal place of residence was Palestine during the period 1 June 1946 to 15 May 1948 and who lost both home and means of livelihood as a result of the 1948 conflict.” So UNWRA counts as “refugees” any local Arab who lived in Palestine for as little as two years, knowing that scores of Arabs immigrated to the area during those years in search of employment amid talks of creating a future Jewish state. This means that even if original Palestinian “refugees” long ago immigrated to another country and became citizens of that country, they and their descendants are still considered “refugees” according to UNWRA. The very definition flies in the face of what a refugee is supposed to be. 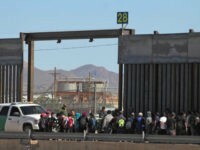 It is also in direct contrast to the Convention on Refugees, which dictates that a person who “has acquired a new nationality, and enjoys the protection of the country of his new nationality” is exempted from the status of refugee. UNRWA’s definition of a “refugee” doesn’t mention UNHCR’s “well-founded fear of being persecuted.” Indeed, the Palestinians have no fear of being persecuted by Israel, and would not be considered a “refugee” under ordinary international criteria. In defining a refugee as it does, UNRWA has ensured that the Palestinian “refugee” problem has only grown throughout the years. Netanyahu has suggested merging UNRWA with the UN’s other refugee agency, UNHRC. The Palestinians and Arab nations strongly oppose that move, knowing that most Palestinian “refugees” do not meet the criteria of “refugees” under the UN’s main definition and would lose their status if they were so absorbed. 5 – The Palestinians use their “refugee” status to threaten Israel’s existence. The Palestinians continue to demand the so-called right of return, meaning flooding Israel with millions of Palestinian and foreign Arabs considered Palestinian “refugees,” thus threatening the very nature of the Jewish state. If the “refugee” problem is ever solved, the Palestinian Authority’s main trump card against Israel will be taken away. When UNRWA began operations, it was assumed that the refugee problem would be resolved and that the agency would function only temporarily. It was not anticipated that the Arab states, which were directly shaping the mandate of this new organization, had another idea: the refugees would be kept in camps for as long as it took, and the burden of political responsibility for them was to be placed permanently upon Israel. 6 – UNRWA has been caught supporting terrorism. A February 2017 report by the UN Watch watchdog group documented that UNRWA employees were using social media to support terrorist ideology, incite against Israel and propagate anti-Semitism. Supporters of Israel have repeatedly criticized the curriculum taught in UNRWA schools. Israel has charged in the past that UNRWA ambulances were abused by Hamas gunmen. It has charged that UNRWA employed Hamas members on its vast, 30,000-strong payroll (five times the staff of the UNHCR, with its global responsibilities), an allegation that one previous UNRWA commissioner-general seemed to acknowledge. And most pertinently amid the Israel-Hamas war, it is Israel’s contention that UNRWA’s work indirectly facilitates both Hamas’s rule over Gaza and its war effort. With UNRWA in place to grapple with so many Gazans’ basic needs, Hamas was that much freer to redirect resources to tunnel construction and rocket manufacture, and all other aspects of the pernicious and sophisticated military mechanism Israeli troops are now doing their best to uproot.